The air quality and industrial hygiene professionals at Clark Seif Clark provide testing and monitoring services to identify respirable hazards. There are numerous occupations that can expose workers to elevated levels of particulate matter, many of which are specifically regulated. 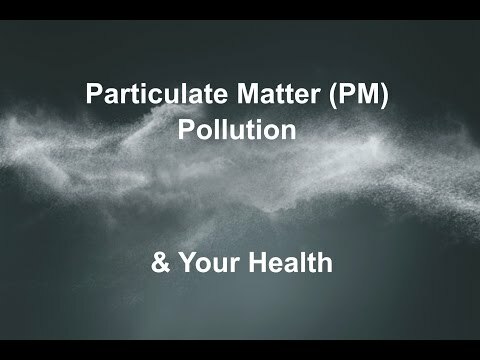 Particulate matter (PM) is described by the U.S. Environmental Protection Agency (EPA) as a mixture of solid particles and liquid droplets found in the air. Some of these particles, such as dust, dirt, soot or smoke, are large or dark enough to be seen with the naked eye, but others are so small they can only be detected using powerful instruments. Because PM is so small, it can be inhaled and potentially cause serious health concerns. Particles less than 10 micrometers (PM10) in diameter pose the greatest problems as they can get deep into people’s lungs, and some may even get into the bloodstream. People with heart or lung diseases, children and older adults are the most likely to be affected by PM exposure according to the EPA. The agency states that numerous scientific studies have linked PM exposure to a variety of health issues, including premature death in people with heart or lung disease; nonfatal heart attacks; irregular heartbeat; aggravated asthma; decreased lung function; and increased respiratory symptoms, such as irritation of the airways, coughing or difficulty breathing.